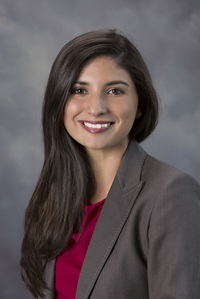 Denisa Gándara (@GandaraDenisa) is a second-year assistant professor in the Department of Education Policy and Leadership at Southern Methodist University. Her research focuses on state-level higher education finance policies, and she is one of a small number of scholars who can combine expertise in qualitative and quantitative methods with deep knowledge of the state policymaking process. Much of Denisa’s research has examined state performance funding policies in higher education, which have spread throughout much of the country in the last two decades in spite of (to this point, at least) generally having at most very modest effects. In an article recently published in The Journal of Higher Education, Denisa worked with Jennifer Rippner of the University System of Georgia and Erik Ness of the University of Georgia to interview stakeholders in three states to learn more about how national organizations have helped to foster the spread of performance funding. She then teamed up with Amanda Rutherford of Indiana University to look at whether states that directly rewarded underrepresented students in their performance funding models–the newest wave of performance funding strategies–were effective in increasing minority and low-income student enrollment. In this article (just out in Research in Higher Education), they found some evidence that the incentives achieved this goal. Next Next post: Who Uses Income-Driven Repayment Plans?